If anything M did good for me with regard to food, it must be that he made me a breakfast person. For most part of my life, breakfast meant tea with some sweet rusk. Or just tea when we were out of rusk. Black tea if we were out of milk. And unsweetened tea if we were out of sugar. That's how lazy I could get for breakfast. But because life needs to be complicated, I married a man and a family who loves breakfast. It was not only difficult for me to make breakfast, it was equally difficult to eat it. My mom kept claiming that I should start with an omelet but every time I tried it, it went straight to the dustbin.That's where this recipe from my mother in law always saved me from embarrassment of not being able to put simple breakfast on table. Its originally based on a recipe M's friend made during overnight study days of college. Ever since then, its makes a weekly appearance in our house. Its easy, quick and deliciously morish. I think it makes a pretty good fit for brunch too. Oats is not a traditional Indian ingredient but like much of modern India, fusion recipes have become part of everyday households. Boil the oats with water and keep aside. 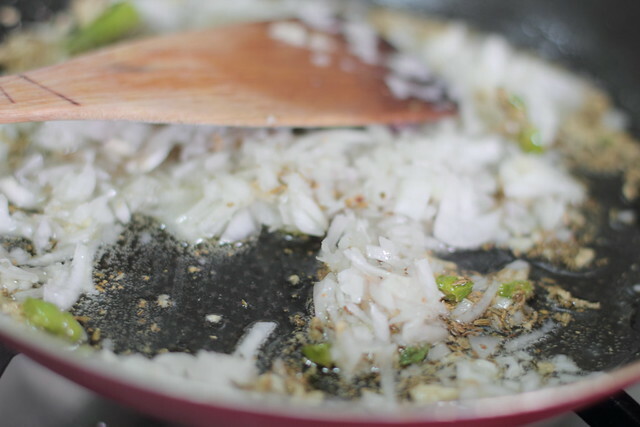 In a pan heat oil, add fennel, garlic and green chilly. Once the garlic cooks, add the onions and let them turn translucent. 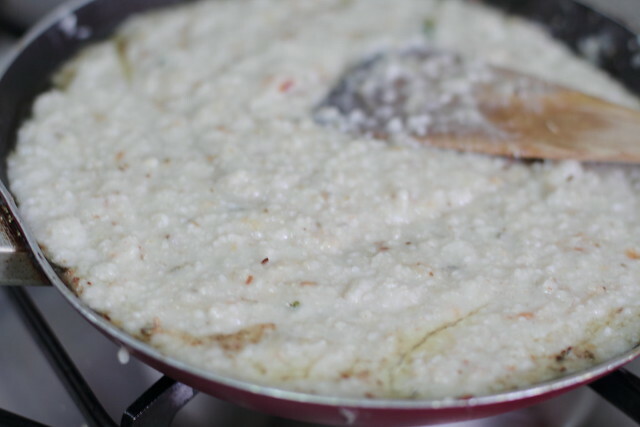 Add in the boiled oats and mix well. Sprinkle in garam masala and heat for another minute or two. I like to add lots of mint, black pepper and lemon juice while serving. You can add or skip whatever suits you. Hi Kulsum, I never had savory oats before. I keep seeing it and always curious about it. Your version looks awesome, I will let you know when I take the leap. Yesterday I made rolled oats and apple muffins. K, I'm not a breakfast person either, still not. Maybe a little fruit or yogurt, but that is about it. Your savory oats look very unique - I've always thought of oats as a sweet thing rather than savory. But this dish looks delicious! Love your photos as I already commented on Flickr and what a creative way to use oats that's not the usual sweet breakfast. I am not a breakfast person either and really forget about oats:) But I think I could give it a try and even like it savory. Sounds so much better! 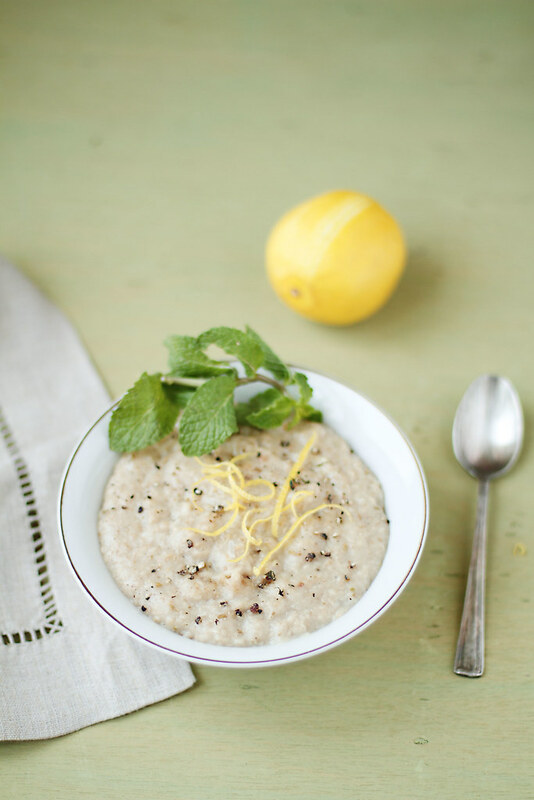 Love the pic with the lemon zested and the zest on the bowl! and the soft soft lights as I have told u before. I am NOT a big breakfast person, and breakfast altogether is still foreign to me (or at least I try to deny it). However, savory breakfast is almost always preferred! Oooh I'm a total savory person, this sounds so good! I need to try this next time I whip up some oats! Hi Kulsum! You have another amazing pictures today... I don't like breakfast with mushy oatmeal texture, but your picture is pretty convincing that this must taste really good! It's just very different from typical oatmeals. That is a very unusual recipe for oats. I'm like you and still haven't been converted unfortunately. I rarely do exotic breakfasts- maybe pancakes on the weekends at most! See I'm the opposite, I like breakfast and hate to skip it. I think it's interesting that you make your oats savory, I generally go the sweet route and make it with fruit, nuts and honey. I've never seen a savory oats recipe let alone one with an Indian flair. I'm not one for having garlic in the morning so I might have to skip that part but i am definitely going to test this one out on the in laws. I think they would love this idea! I really like the way that first photo turned out by the way. I am totally a breakfast person.Infact I m not a lunch or dinner person..keep on finding ways to skip! 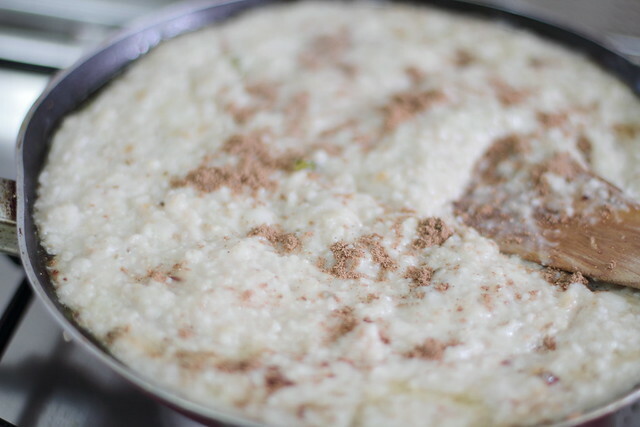 I have never heard of oats cooked this way..but mom cooked dalia similar to this.Thats a new recipe for me. Love the green background! Lovely! I m not a breakfast person but other half's family loves their continental breakfast a lot and it is a must! I love your way of serving oats! Beautiful photos, love the 2nd one! Breakfast is the most important meal in the day for me, I only wish I have more time to cherish it from Mon-Fri instead of just during the weekends. Our busy developing country lifestyle makes it impossible for me to cook breakfast weekdays. 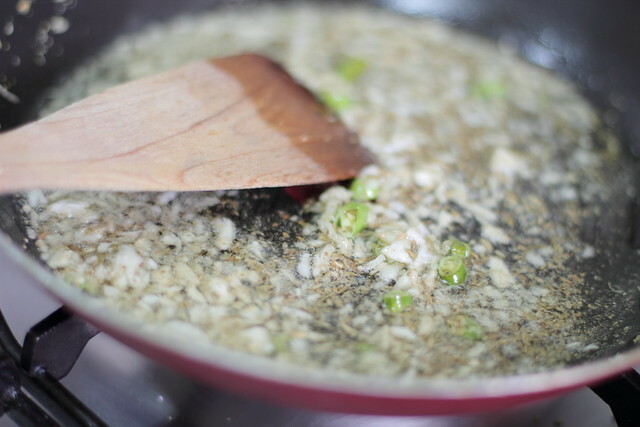 Savory oats is common in Southeast Asia, we eat it with sambal, fried anchovies and onions. My partner's Indian and his mum makes incredible oat pancakes. Lovely post! what a unique breakfast treat! I think I could enjoy this dish at pretty much any time of the day. pic's are gorgeous kulsum! and i'm not a breakfast person at all, i have glass of orange juice or glass of milk, that's it...now i planning a change a bit and savory oats is a like a new side of oats.. amazing! 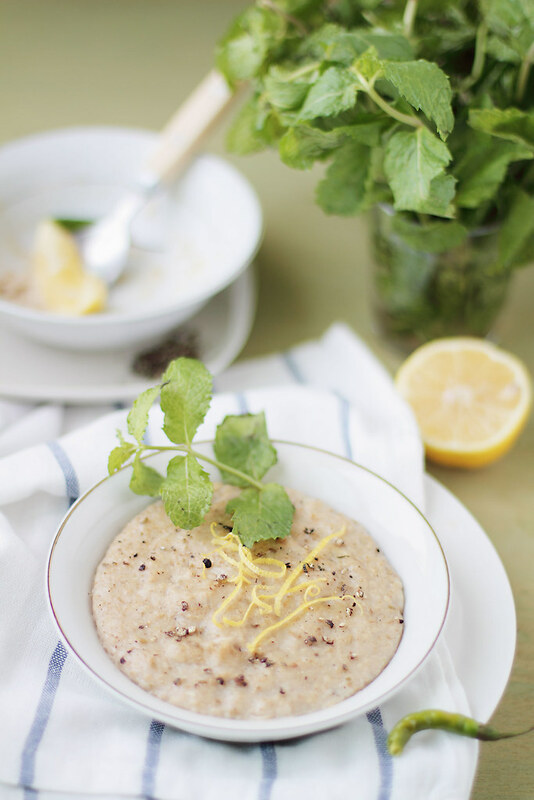 These oats sound like the perfect breakfast or even mid day snack for me. The fennel is a nice touch. 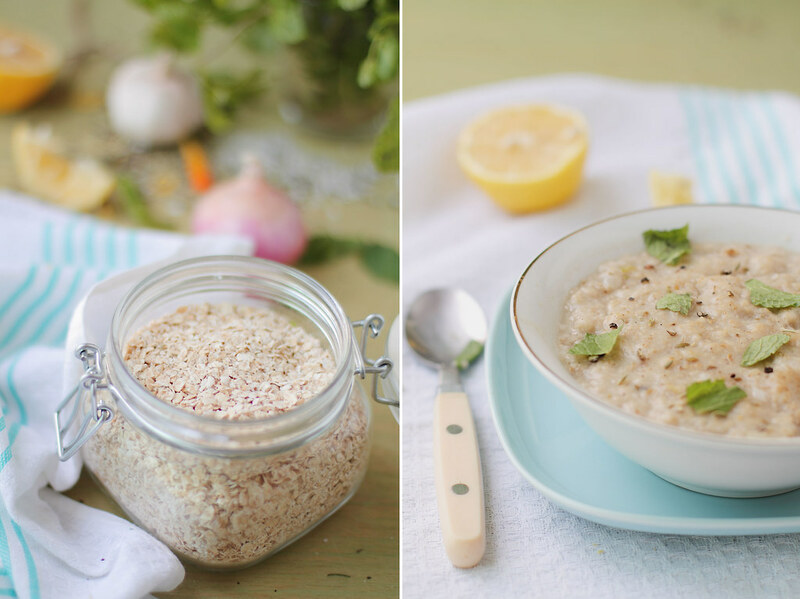 I've honestly never had fennel seed oats before, but it sounds like a wholesome & healthy breakfast, fab photos! That dish is so interesting! A unique way of preparing oats. Lovely! I used to be the same way about breakfast. Now I can eat food in the morning but as far as cooking it stays very very simple. I love your savory oats, great change from my sweet variety. Plus all those spices in the morning is a great way to start off the day. Looks delish!